Non-Destructive Testing a recovery solution. Is your company forfeiting profit? Proactive non-destructive testing is your recovery solution. You know that the importance of Nondestructive Testing as a quality assurance tool cannot be over-emphasized. NDT plays a vital role in assuring the reliability of parts whose integrity is critical to safety. We read about risk containment issues nearly every day. No company is immune. The cost of containing risk can run into millions of dollars. Through the investigation of issues, reporting of findings, and plant productivity decline. Any one of these circumstances results in significant profit forfeiture. Protecting a company’s brand and reputation. By ensuring the safe and efficient operation of products and parts is the cornerstone of AMS’s approach to NDT. Our mission is to save our customers time and money by helping them avoid unnecessary costs. And revenue loss due to product or equipment failures, with minimal disruption to production. A well-constructed non-destructive testing system can be exceedingly beneficial in proactively evaluating components, averting crises, unnecessary distractions, and unexpected costs. At AMS, we see testing as an opportunity for your company, rather than a reaction to a problem. AMS offers a blueprint to proactively evaluate materials before issues arise. Our goal is to help your company avoid crises, reduce costs, maximize plant output, and protect your brand. 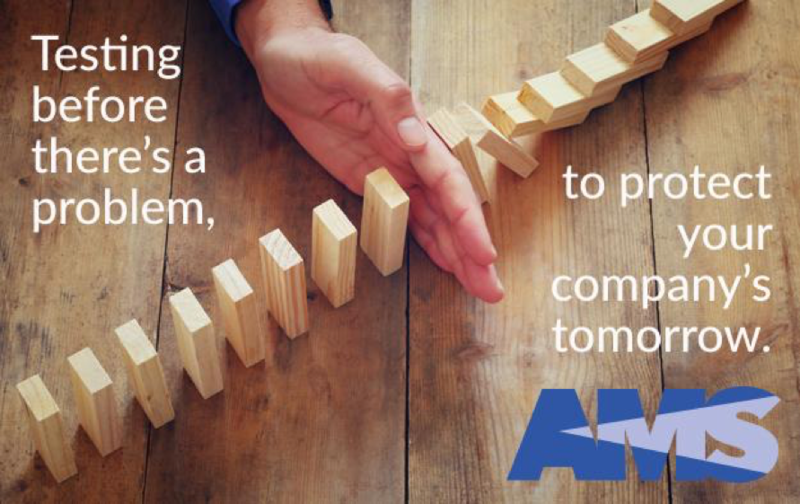 Let AMS demonstrate how your company can realize greater profits.